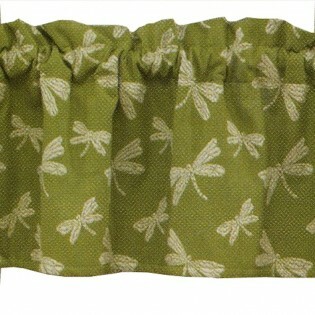 A fresh green background features an intricately woven dragonfly design on the Dragonfly Valance. 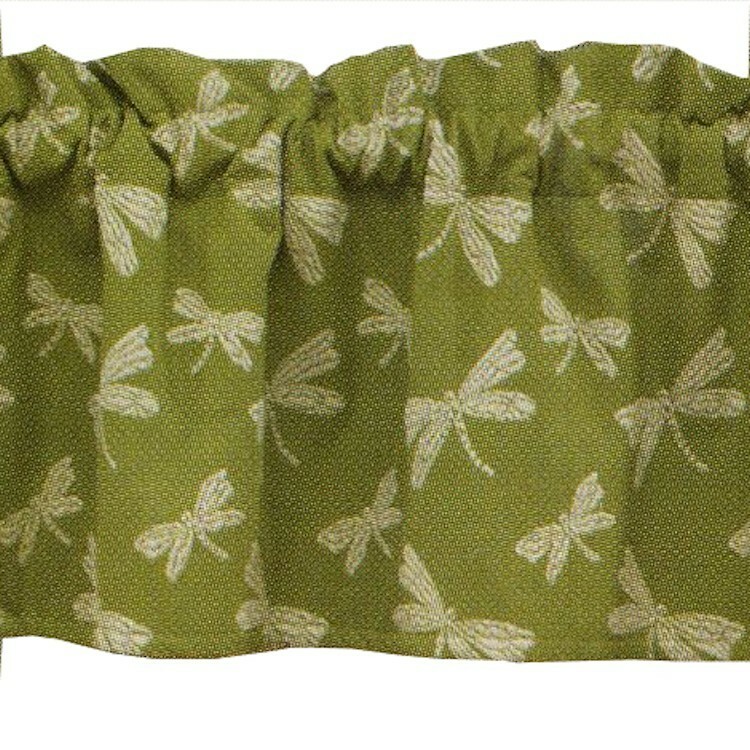 Bring a bit of summertime to your windows with this nature inspired valance. Clearance Items are non-refundable, non-returnable, and are available in limited quantities. This item may be sold out at time of purchase.